Parallel computing has been considered an effective approach to combine performance and power efficiency for a long time. Starting from High Performance Computing (HPC) to modern embedded systems, the employment of heterogeneous parallel architectures is becoming the common case, since they provide a good tradeoff in terms of power efficiency. The exascale objective for the next generation of HPC systems is constrained to a target power envelope ranging from 20 MW to 30 MW. The existing "green" HPC systems are not yet able to reach the such power efficiency although they already employ modern heterogeneous parallel architectures. Ultra-low-power hardware platforms are gaining an increasing traction, as they may represent the key component to allow future HPC systems to match the required power efficiency. The programmability of such systems is a critical aspect that has an huge impact on the reachable power efficiency and the effort required to reach such target. Programming parallel architectures is a complex task, since many hardware features are directly exposed to the programmers. Programming frameworks that try to hide such complexity exist, however they either provide only sub-optimal performance with respect to hand tuned implementations, or they are limited to specific application domains. This dissertation tackles challenges related to the programmability of heterogenous parallel architectures, acting on both existing and future programming models and hardware architectures. 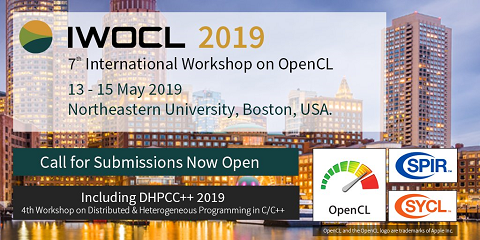 In particular, we present OpenCRun, an OpenCL runtime implementation supporting a range of platforms with very different architectures characteristics, such as X86 multicores and embedded parallel accelerators. In the context of ultra-low-power architectures we report the joint effort between hardware and software developers towards the PULP platform, showing the benefits of selected ISA extensions and their compiler support to maximize the power efficiency. Moreover, to improve functional and performance portability of OpenCL code between GPGPUs and embedded many-core accelerators with explicitly managed memory such as PULP and STHorm, we have proposed a code transformation technique, workitem coalescing, that bypasses the limitations of the embedded platforms, allowing code developed for GPGPU to be ported seamlessly, as well as a memory transfer optimization technique to tune the resulting code to improve performance. Finally, to increase the abstraction level in a more radical way, leveraging Shared Virtual Memory that is expected to be available in future architectures, we have presented a method to transparently implement shared function pointers in heterogeneous platforms with two or more ISAs, a building block for enabling full C++ support across heterogeneous ISAs. Indeed we presented a fallback solution to implement function calls from device side to functions not available on the device itself. This mechanism is needed to enable the transparent support of C++, and to provide more flexibility to the programmers dealing with large and complex applications to be ported towards heterogeneous parallel accelerators.